Disney is an AWESOME place to bring your kids, you know that! The very idea for Disneyland came from Walt wanting a place to take his young daughters where they all could have fun together as a family. And some attractions are clearly not meant for the youngest members of the family — for example, Rock n’ Roller Coaster has a 48″-inch height requirement. But there are lots of rides (in fact most rides) that have short or no height requirements, which means your little ones can jump aboard. But just because they CAN doesn’t mean they SHOULD. Here is our list of attractions we don’t think are necessarily the best choices for toddlers — for one reason or another. 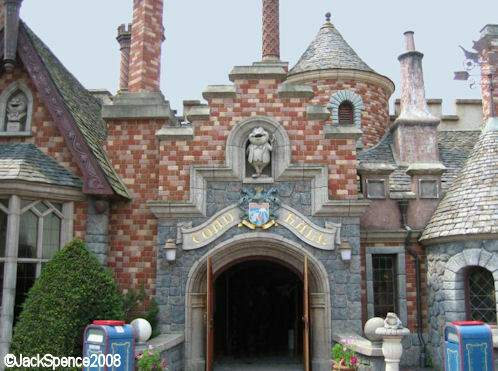 Mr. Toad’s Wild Ride left Walt Disney World years ago to make way for Winnie the Pooh, but you can still find the opening day classic in Disneyland. Mr. Toad’s tells the story of the eccentric J. Thaddeus Toad who drunk drives, gets sent to jail, dies, and goes to Hell. Yes, seriously. While this is honestly a favorite for a lot of people — mostly for nostalgia value — we don’t know if it’s really the best attraction for the little ones. For starters, they probably won’t have any idea who Mr. Toad or any of his friends are. Also, the final scene is pretty creepy in general — but especially for little ones. Dinosaur does have a height requirement, but at only 40 inches some young kids may make the cut-off. But listen to us very closely — this ride will most likely terrify your kids. Don’t get me wrong — this is one of my favorite attractions in all of Animal Kingdom. But it scares ME and I am a grown-up (sadly) who’s been on it dozens of times. 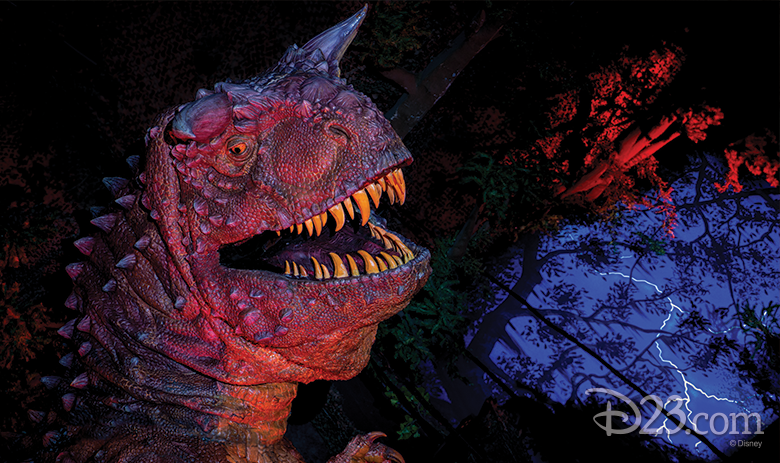 This ride is very dark and very loud and there are very large, real (animatronic) dinosaurs that jump out at your car. If you want your toddler to sleep that night, maybe pass on Dinosaur. Or at least, ride it first without them so you can see what I’m talking about. 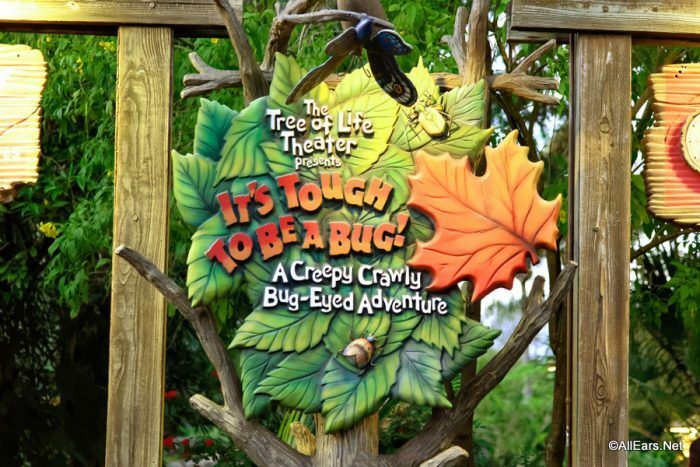 This 3D show inside The Tree of Life seems like it would be a super-fun attraction for kids of all ages. But truthfully, I have never been to the show without seeing at least one youngster in tears. It’s dark, the animatronic Hopper is huge, something literally pokes you, and giant spiders descend upon you. Honestly, some of the tears may be from adults. It’s Tough to Be a Bug is a great show full of laughs, and your older kids will most certainly enjoy it — so don’t blow it off entirely! Just gauge your little ones and if you choose to see the show, sit in the back where the effects aren’t as intense. The American Adventure isn’t on our list because something is frightening or dark or scary. It’s on our list because it’s long. This show is 30 minutes in length, and walks through some of the most legendary moments in American history as told by Ben Franklin and Mark Twain. The animatronics are wonderful and it’s a perfect, lengthy break during a hot Florida day… for adults. I don’t know many 3-year-olds who would sit quietly for 30 minutes during a presentation on American History (unless you can somehow get them to nap). Instead of having to try to discreetly exit this theater, we recommend checking out the Disney*Pixar Short Film Festival instead. It’s a little shorter, and much more entertaining for the little ones. Plus, you’ll still get to sit down in the A/C. 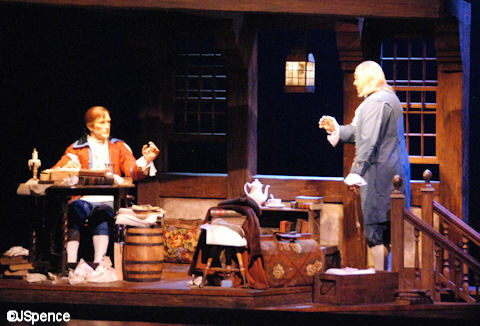 Same rules apply for The Hall of Presidents in the Magic Kingdom. What toddler-able attractions do you think aren’t actually the best choices for toddlers? Let us know in the comments! My granddaughter did haunted mansion with her aunt. She was two. She loved it wanted to take the ghosts home. Take off American Adventure and add The Haunted Mansion. Mr. Toad was a Favorite. Took my kid on both Mr Toad and my in-laws took her to Tough to be a Bug at 3 1/2 (the latter while my wife and I did Radiator Springs Racers) and she loved them both.